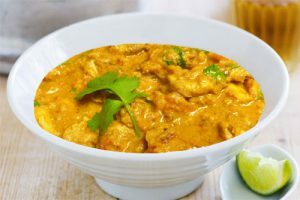 A light Indian curry with a lovely balance of spices. 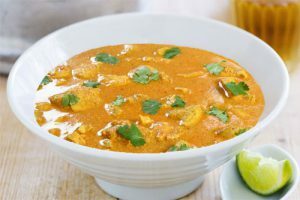 This Northern Indian ‘Moghul Style’ chicken dish is utterly delicious, with the beautiful colour and aroma of saffron. The finished dish is mellow with a creamy softness and just a mild heat. 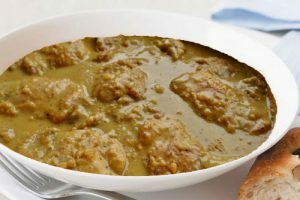 This Northern Indian ‘Kashmir Style’ Lamb Korma is braised for 10 hours until the lamb is delicately tender with a deep, rich flavour. A Northern Indian ‘Kashmir style’ curry cooked for 12 hours with just the right hint of chilli. 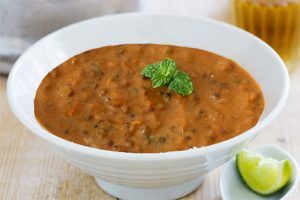 An authentic, slow-cooked dahl made with black lentils. 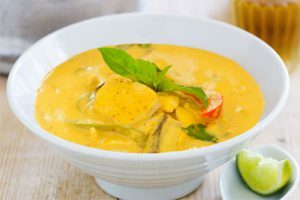 A beautiful and rich traditional Thai curry. We make our own fresh curry paste and slow cook this curry for 8 hours. 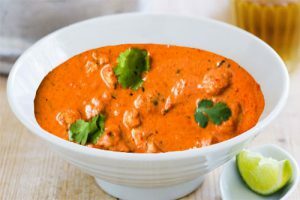 This Northern Indian ‘Makhani Style’ Butter Chicken is a rich and moreish version of the classic curry! 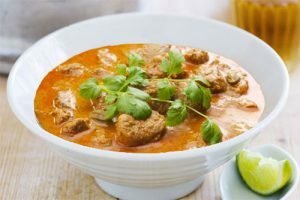 A beautiful traditional Thai Curry with tender chicken, poached in our house-made curry paste and slow cooked to develop a deep rich flavour. 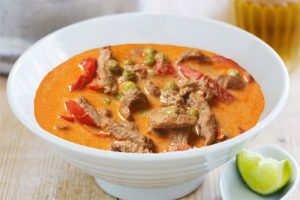 An authentic Thai Curry. We make our fresh curry paste and slow cook the beef for 8 hours, until it’s delicious and tender. 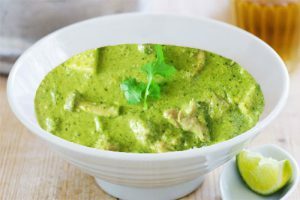 A delicious Thai curry. 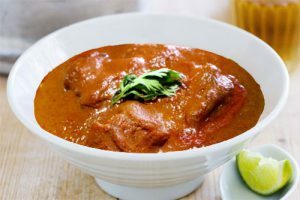 We make our own fresh curry paste with traditional ingredients and slow cook the chicken in the sauce.